As dedicated bicyclists are well aware, riding can be very dangerous. 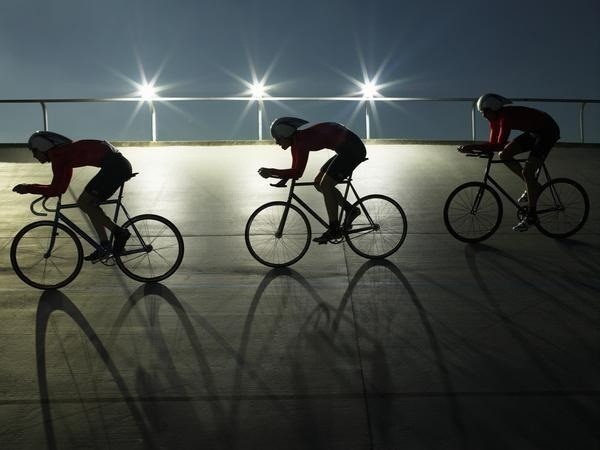 Now that daylights savings time has ended in the United States, darkness appears quicker, and the night is especially dangerous for cyclists because of the low visibility that drivers have. Not only is darkness a danger, but also fog, blizzards, and heavy rain—all wreaking havoc on the vision. To combat this, bikers attach reflectors: clear front reflectors, red rear reflectors, amber pedal reflectors, and clear side reflectors; some even add reflectors to their clothing! While this helps, it doesn't fully resolve the problem, so cyclists also use active lighting. They add front and black flashing lights that can be seen by anyone without having to shine light on them (like reflectors need). Active lights come in all shapes and sizes, and now, thanks to Jenna deBoisblanc, you can use an Arduino to make your own safety all-in-one bike project, which includes turning indicators, a strobe night light, speedometer, odometer, and brake lights. Jenna has separated her project into four videos to help you do this project on your own. The first video is an overview of the entire project, which shows what you'll need. The second video focuses on the turning indicators (turned on by pressing down LED buttons on the handlebar) and strobe light (activated by pushing down both LED buttons simultaneously). The third video revolves around the speedometer (right push button) and odometer (left push button). The final video covers the brake lever and batteries. Pressing down the brake levers activates a stop sign on the LED box (which is powered by a pack of batteries located on the back of the bike). If you want more information on the project, you can access her website here. If you're not much for Arduino, you can still pimp your ride with these easier DIY turn signals, some rim and handlebar lights, and maybe even some phosphorescent paint. And ride with this brick?